Background: Neku is the main character in the DS Title "The World Ends With You." In the game, Neku wakes up with no memories about himself besides his name, and is in a contest called "The Reaper's Game." This contest is a contest the dead are entered into in order to earn a section chance at life. The Reaper's Game lasts seven days, with a new objective each day. 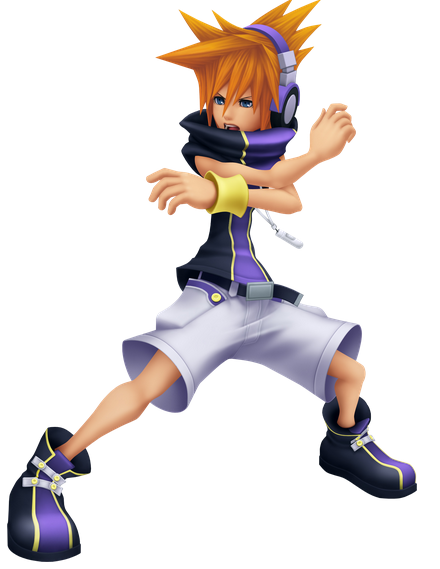 Throughout the game Neku must fight a type of enemy called "Noise." 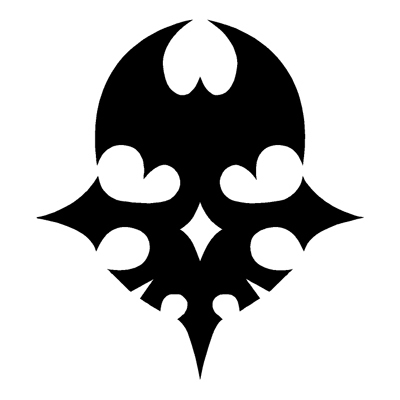 He collects and wears pins which allow him to use psychs in battle, such as Psychoknesis (Throwing objects), Force Rounds (shooting energy), and Pyroknesis (fire). Significance: The World Ends With You is one of the most notable DS games of all time because of it's unique use of dual screen and it's great story. Gimmick: Each of his special moves has a meter that shows how many times it can be used until it needs to recharge. However, his specials are pretty strong to make up for this. Neutral: Shokwave; Neku slashes forward. This can be done repeatedly. This can be used 8 times before recharging; in smash it will do a 3 hits combo. Tilt Up: Vulcan Uppercut; Neku will move in and strike three times, sending the enemy into the air. In Crusade it would be without moving but you can continue if you do three up tilts, it can be a good air combo starter. Neutral air: Fire Barrier; Neku is invulnerable and any enemy that touches him is damaged. To be a good move in Crusade I though about to do it like Shadow's Neutral Air, it will create the barrier but only for some frames, then the barrier will disapear and do fire damage. Forward Air: Spear Strike; This will make Neku dash in that direction holding a spear made of light, mowing down Noise in the way. To be an non-op move he can only do the spear holding and strike 3 times like the mii swordfighter of Smash 4. Back Air: Entanglement; When activated, a chain is created, stretching across the screen along the line scratched by the user. In Crusade it can me like a chain doing a little knockbut but low damage, it would be a 1 hit attack. Down Air: Spark Core; create an electric charge that moves around the screen. Like Tails Neutral Special but only in down direction, does low damage but hits 3 times. Dash Attack: Velocity attack; When Neku is dragged into a dash, he generates a barrier in front of him, which he uses to ram himself into an enemy, causing damage. Like Mario's Dash attack but with more hitbox or like Sonic's new side Special attack Boost but with low damage. Forward: Massive Hit when is charged deals high damage and knockback. I think that in the original game is a charged attack for the forward smash fits good. Down: Vortex Saber; Neku slashes in a circle, damaging all Noise around him. So is a good choice for a down smash. Up: Piercing Pillar; When used Neku form an icicle on the ground. Inflicts damage on contact. Maybe the fastest smash attack when used without charging. Neutral: Energy Rounds; Bullets are fired by slashing across Neku. Simply as Shadow's Neutral Special but without charging leading less damage but as faster as Fox's laser. Side: Nexus Ray; press and hold the stylus in a direction, Neku will face in that direction and begin to charge a shot. Once the charge is complete, Neku will fire a thin beam in a horizontal line, damaging all enemies in its path. so i think like goku's kamehameha the more charged the more further and stronger would be. Up: Teleport; By tapping an empty space, Neku will instantly vanish from his current location and appear in the tapped spot. Well this one is more dificult to do because you can't decide where appear so I'll say that it would be more like Shadow's or Pikachu's recovery. Down: Earthquake; When used, it shakes the whole of the bottom DS screen and momentarily inhibits movement of ground-based enemies, but leaving Neku free to move about. I think is posibly like DK down Special but with less damage and less knockback but instead can inhibit for some frames the movement of the oponent giving time to do a combo. Psychokinesis would be the type of grab That a giant hand would grab the oponent. Up Throw: Twister; Small whirlwinds will lift every enemy into the air and drop them when the player stops blowing, dealing damage and immobilizing the enemies. In smash only would throw the enemy up giving 5 or 4% damage. Down Throw: Ignition; is activated by scratching an enemy until it bursts into flames. like a throw it would burn the enemy 6 times and then do a little knockback. Forward Throw: Street Jam; A speaker blast will hit all enemies on the screen. To do it more balanced it would do 1 hit but with great knockback like Ness's back Throw. Back Throw: Holy Light; It is activated by pressing and keeping the stylus trained on an enemy. Once the light is charged, it will deal about 7.5 hits per second on the enemy. For more likely it would be like up tilt of paluteena uin smash 4. This Fusion appears in order to defeat the final boss of the main story. It appears to use all 4 protagonists energy to mark a foe with a white X, which proceeds to annihilate the foe with white bolts of energy. It would be an all-screen final smash that would hit several times all the oponents. The Mythical player pin of the reaper's game it would be the series icon of Neku. Well this is my opinion but hey it's pretty Faithfull to the original moves I Think.